The Landa PE Series is one of Landa’s most popular machines for everyday use in a variety of industrial cleaning applications. 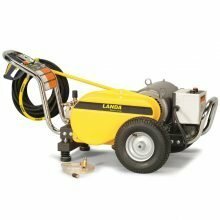 Only the highest quality components are used on the Landa PE Series, including the tri-plex high-pressure pump with a 7-year warranty, industrial-duty motor, durable steel frame with a welded seams, and a stainless steel point and shoot wand for cleaning effectiveness. Pneumatic tires make for easy maneuvering, and two shock absorbing, spring-loaded rubber feet to keep the Landa PE Series from “walking” while in operation. Most popular machine for everyday use in a variety of industrial cleaning applications. 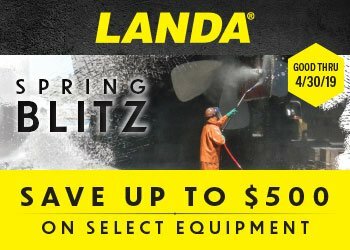 Landa’s most popular machines for everyday use in a variety of industrial cleaning applications. Landa’s most popular machine for everyday use in a variety of industrial cleaning applications. This model comes equipped with Auto Start/Stop, two yellow nozzles, two green nozzles, and a variable pressure wand.